One of a kind opportunity, fully refurbished historical building in the heart of Micanopy. 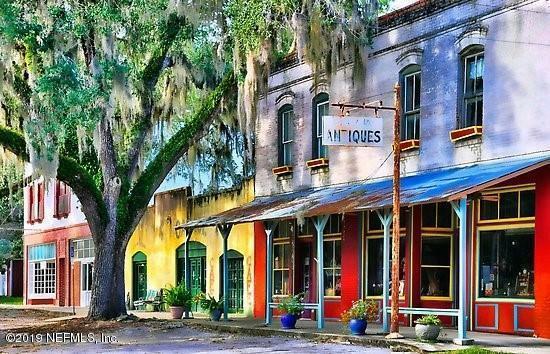 Micanopy was voted top 10 cutest small town in the country. Located just 10 to 15 minutes from Gainesville off I75 which brings lots of daily tourist and lots of travelers from Ocala, The Villages, Gainesville, St Augustine, Lake city, and all other surrounding smaller town. Micanopy Businesses are prospering with hundreds of visitors each day and also known for their fall festival and local events. Micanopy is also known for his movie sets such as Doc Hollywood and famous Bed & Breakfast ''Herlong Mansion B&B'' Building can be divided into 4 separate spaces:1: 1,200 sqft store/retail/etc... 2. 1,800 sqft store/retail/etc....3. Apartment 1,200 sqft 4. Storage area/Art Studio 1,800Come enjoy the Work/Live/Play lifestyle in this beautiful picturesque town of Micanopy. Call 904-962-5975 for any questions.